Let the 1400M dollars several companies (including some such as Google) have invested in the project disagree with any doubt. Yes, that video is real, and that technology is being developed right now. The company doing it is called “Magic Leap” (http://magicleap.com), and its team is working really hard to make that magic happen. They think that present technology – “those rectangular boxes [we] spend the majority of [our] life staring into” – just keep us away from the really important, life things. So, what happens when you “give the body and the brain what they want”? “The shackles are off, the rectangular boxes are tossed”, and life and technology merge, both to be seen in completely new ways. But we have seen Virtual Reality already. And Microsoft has already announced and showed their ‘HoloLens’, which are Augmented Reality too. What makes ‘Magic Leap’ so important? On the one hand (I’ve to recognize), the hype – nothing has been seen yet, but 4 videos about their technology. BUT also, that the technology they say they use is different from any other. Other technologies – such as Oculus Rift and HoloLens – use stereoscopic 3D, i.e., a screen in front of you that lies to you to make your brain think you are seeing in 3D – which is not the most natural way to view things. Nevertheless, in Magic Leap they feel compelled to make their device totally respect the human eye, so that you could wear it like a regular pair of glasses, everywhere. This way, Augmented Reality could be present in any field of our lives – and without stopping being, well, reality. In conclusion, I leave you with a final thought, and the hope that the world described will one day be achieved. Q: In a world with Magic Leap, is there a need for physical screens? Laptops, smartphones or even smartwatches? Sometimes love is as complicated as unpredictable. But in the end the things that we value the most are the simplest details, the most beautiful, those which arrive without warning you. And at the time of writing about feelings, there isn’t anything better than to write it from the heart. And this is what Defreds does in this book. Frida is a new editorial which published especially poetry collections, and they bring opportunities to new writers in this field. I have to confess that I had never read a poetry book by myself before and I fell in love with this book when I read the first sheet. 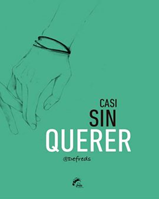 To buy this book has been the best decision I could take to enter into this field, Defreds shows you the good and the bad sides of love, reading through its pages you can see the heartbreak, deceit, fantasies and ruptures suffering from anyone. Yes, Austria once fought itself. How can a country fight a battle against itself? A civil war? A revolt? No, much worse. First things first, let’s contextualize. It all happened during the 2ndRussian-Turkish war (1787-1792). 100,000 Austrian soldiers were to camp in Karansebes (Romania) in order to invade Turkish land. But they weren’t in fact Austrian – most of them were natural from other subdued countries: Italy, Romania, Hungary… and few spoke German. So, it all started with the Hussars exploring to ensure that the camping site was secure. It indeed was, but they encountered some gypsy merchants selling spirits beverages. Why I say “but”, you will guess it in a moment. The hussars bought almost all their stock, and got drunk as good hussars they were. Sometime later other regiment came, and they demanded some drink, but the drunken hussars refused and started a fight. In the turmoil, a shot was fired. Then, chaos. The Romanian infantry thought it was a Turkish sniper who had fired that shot. Realizing of what they had done, the hussars fled – but the damage was done. While the infantry was running away, the Austrian officials tried to call to order saying “Halt! Halt!” – but, as the Romanians didn’t speak German they understood “Allah! Allah!”, the Turkish battle cry, so the chaos got even worse. Just by the time another regiment was drawing near and, seeing the mess in the camp and the hussars circling around it, they had no doubt that the Turk cavalry caught them, so their officials ordered their cavalry to charge to the battle; only to alert an artillery regiment that was coming close too, who thought – with no doubt, again – that they were the Turks, and they deployed the artillery and fired to these last horsemen. All the army was driven mad, and they kept of fighting for hours. Finally, confused to the limit, they all ran away for their lives. During this butchery, the horse of Joseph II, the Austrian emperor ran wild and he ended down in a pit. Well, told you that not only Spain is so sad in battles! Thanks for reading, and don’t forget to comment! “-You make me ashamed, Seraphina. Your courage always does. Set in: Medieval fantasy world. Imagine being taught maths or physics by a dragon. It sounds crazy, doesn´t it ? 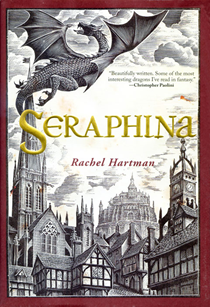 For Seraphina- a sixteen-year-old gifted musician- it´s as common as breathing. In the kingdom of Goredd humans and dragons has worked side by side for four decades: dragons go to the Royal Palace as ambassadors and live within humans folding into their human shape but the tension and hostility between the two species hasn´t disappeared with the treaty and years. That fragile- and apparently- peace gets perturbed by the murder of one of the members of the royal family in a suspicious “dragonian” style, just after our protagonist joins the royal court as part of the chorus. Seraphina has reasons to fear both sides. She knows how dragons are but also knows how humans can be. The mystery around the dead body will be investigated by the musician and Prince Lucian-the dangerously perceptive captain of the Queen´s Guard- but she must be careful: the answers she is looking for could discover her secret and destroy her very life. 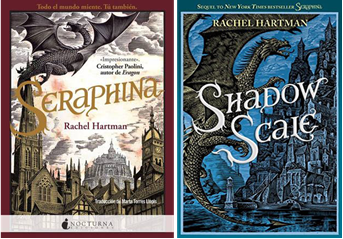 -This saga is formed by two books : Seraphina and Shadow Scale (which is now available in Spanish by Nocturna Ediciones). “Glossary” This book is so unique that has its own expressions, saints and culture in general so it´s necessary to have a glossary to look for clarifications about some terms. 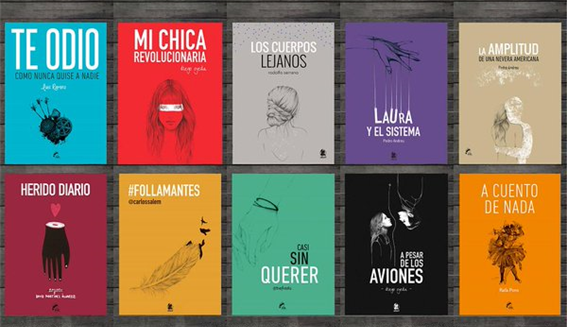 -This book has more different covers than other books I´ve read before.I find very interesting that some countries have their own new fresh cover and others have just the same cover as the USA but changing in some way the original colors. 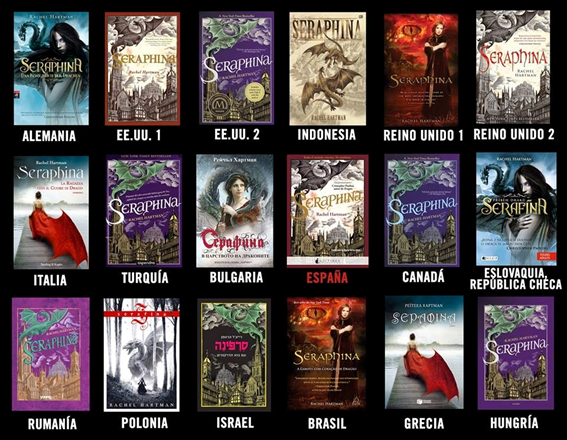 And for a reason I don´t really know the Indonesian cover reminds me of the game “FINAL FANTASY” . (I really liked the cover of Poland). 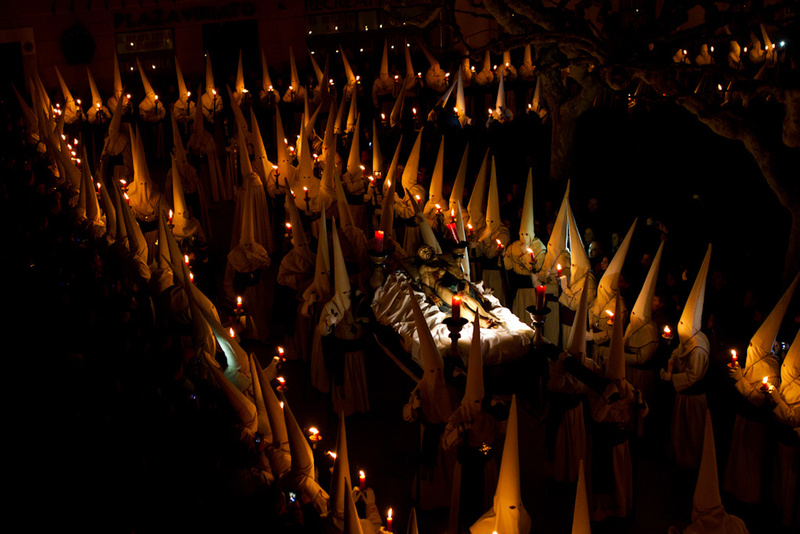 Spain is completely transformed during Easter week. 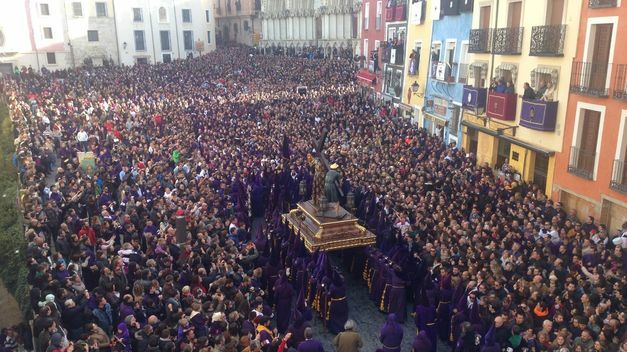 Everybody, everywhere, turns out to experience one of Spain’s most traditional events. Don’t miss the chance to come to Spain at this time of year: you’ll be able to share some very special moments. However, if you’ve never visited Spain during Easter week, then you simply have to come. 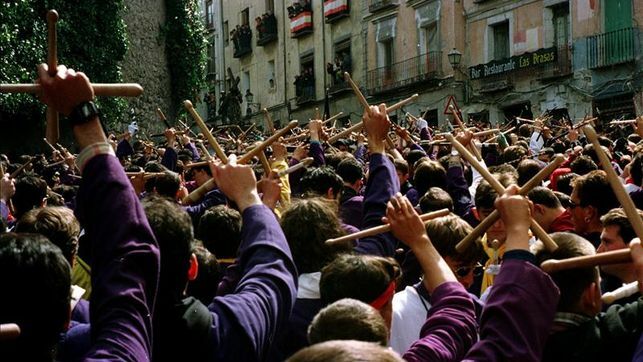 And even if you already know this famous party, it’s well worth making another trip, as each region of Spain has its own way of celebrating the event. 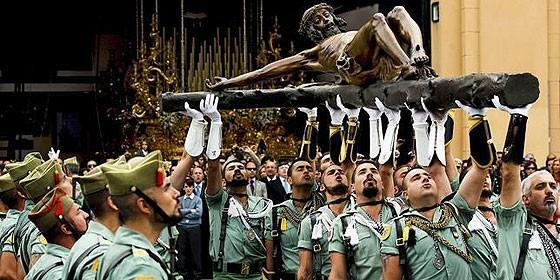 In Spain, Easter week is celebrated with a great deal of emotion. People take an active role in its events and traditions. All day and night the streets are filled with the beat of the drums, masses of colorful flowers, and the consummate art of religious sculpture. Throughout the city thousands of people lined the streets waiting to catch a glimpse of the processions, each of which takes many hours between leaving its parish and returning there after following a set route around the city. Each of over 50 brotherhoods (cofradías) have two floats. For the ‘costaleros’ who carry the float it’s a once in a lifetime honor to do so as the numbers wishing to be carriers far outnumber the places available. Unfortunately, there have been some years when heavy rain has caused the cancellation of many processions and grown men were left crying in the streets knowing they would never again get the opportunity to be a ‘costalero’. The floats often weigh over 2000kg and it takes many months of practice before the important day. 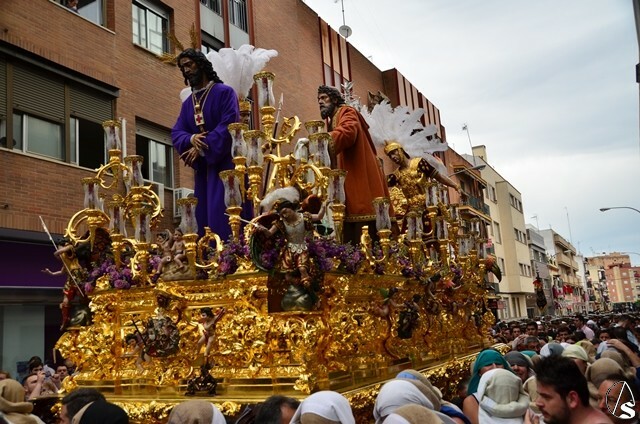 On average there are 40 ‘costaleros’ per float with each one supporting a weight of around 50kg for around 8 hours. 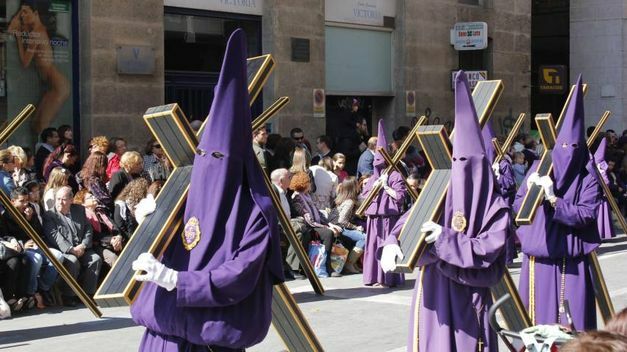 Following the float, penitents are dressed in capes and “CUCURUCHOS” looking head gear. This hides their identity, the meaning being that God is the only one who knows who they are. Easter week is a religious occasion and the mood of each day’s procession changes from the lighting ones on Palm Sunday to the dark ones of Good Friday which depict the crucifixion of Christ and finally the joyous ones of Easter Sunday which celebrate Christ’s resurrection from the dead. The Good Friday processions leave churches at midnight and are carried throughout the night with huge crowds following their every step. A particular highlight of note is around 3am when La Macarena, Seville’s most revered Virgin, reaches the official route. At midday on Holy Thursday, the legionaries bring shouldered the “Christ of Mena” from the port of Malaga towards the Church of Santo Domingo. Thousands of people are waiting for hours his entrance. In addition, the armed forces are the one who carry the image just as a symbol of protection. 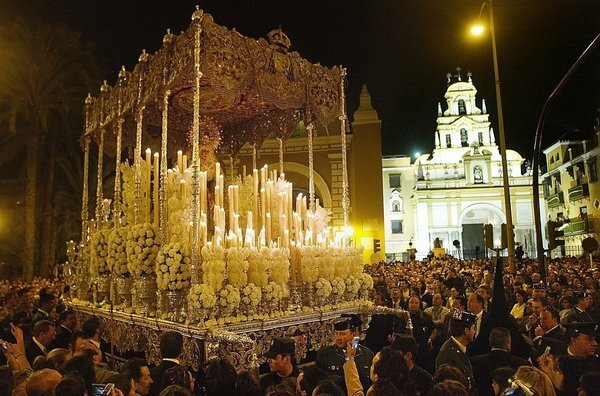 It is impressive and one of the most exciting moments of the Easter week, since cornets sound while the silence is startling while, in fact, everybody waits for his arrival. Then, after the sound of the “Bridegroom of Death”, Malaga break into applause. At dawn on Holy Friday, the procession called “Camino Del Calvario” begins which consists of five steps. Nazarenes of all brotherhoods meet to stage through bugles out of tune and noisy drums the taunts that Jesus suffered in his way to the crucifixion. On Holy Friday, nine brotherhoods go through the streets as well as an additional parade called the “Promises” formed mainly by devout citizens. This procession is called “Los Salzillos” due to the sculptor Francisco Salzillo, who was the one that built the images during s. XVIII. In addition, they go barefoot the whole procession. This brotherhood was founded in 1941 to worship the image of Christ Recumbent, which had been found abandoned in the Church of the Conception. That said, the procession starts at 23 pm on Holy Thursday. Jesus’ body is simply covered with a shroud and is led to the sepulcher accompanied by brothers in complete silence and a mild drumming. Carnival in Spain is known for its amazing costumes and masks; although it is not as impressive as in Venice or Brazil it is surely worth seeing. People of all ages participate and enjoy, even those with little resources. Participants dress up according to their possibilities and imagination and take to the streets to celebrate both night and day; crazy days in which nothing is what it seems and anyone can become into whoever or whatever they have always dreamed about. In addition, there are parades, troupes, contests for the best costume and street theatres. This celebration ends on Ash Wednesday with the “Entierro de la Sardina” tradition. The Burial of the Sardine is a parody of a funeral in which the sardine is buried, symbolically marking the farewell to life’s pleasures and the arrival of Lent. 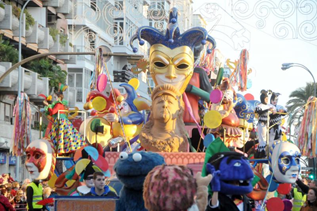 Nevertheless, the most celebrated Carnival event in Spain takes place in the southern part; such as Cadiz, and the Canary Islands; Tenerife and Las Palmas De Gran Canaria. They are broadcast on national television, attracting thousands of tourists from all over the world. Although in our region carnival is not as known as in the southern part, you can find lots of parades and contests. In Castilla-La Mancha Carnival is very widely celebrated in those towns near Ciudad Real; in Alcázar de San Juan, Madridejos or Herencia. We are going to talk about Carnival in Villafranca de los Caballeros , which is close to Madridejos; 1 hour away from Torrijos. There, in Villafranca, Carnival is hold in a very intense way. The weekend previous to the “Ash Wednesday” the party begins. On Saturday morning, people go out to the street, they have lunch with their friends until the sun sets. Then, people go to their houses to change clothes and go out later. Next day, on Sunday, after having spent a funny day with friends; in the morning there is a contest known as “MASCARITAS”, in which people of different ages get costumed and have a good morning; after this, families have lunch together and, later, they go altogether to see the Carnival parade; where there are several prizes: three for local groups and three for foreign groups. The first prize for local groups this year went to EUPHORIA DANCE, a group of “funky dance” in which I myself got costumed. And the first prize for foreign groups went to LAS HURÍES, a group from Quintanar de la orden. It is, without a doubt, the most “Brazilian” of all the Spanish carnivals, and it is famous all over the world for its originality year after year. For fifteen days, the streets of the city come alive with freedom, extravagance and rhythm. The gala to elect the Carnival Queen is held on the Wednesday of the first week. In this spectacular competition, all the candidates parade on a square stage wearing the most fantastic costumes, which can weigh more than a hundred kilos! Once the queen has been elected, the parade announcing the start of the Carnival takes place on the Friday, where thousands of people and musical groups fill the streets in a multi-colored chain of happiness. Over the three next days, the city organize different carnival groups perform. In fact, lyrics of the songs are not usual since they use social and political themes as their subject, but always with humor! In February, Cadiz becomes a big party. It’s carnival time! You can hear carnival music in any corner of the city, and the last touches are put to the fancy-dress costumes (in Cadiz they are known as tipos), some of them real works of art. The locals put their hearts and souls into what is one of the most eagerly awaited events in the city, and perhaps the most fun-filled and entertaining of all the Spanish carnivals. Compared with the spectacular nature of other carnival celebrations, the light-hearted fun and entertainment of the Carnival of Cadiz makes it a unique party which is well worth getting to know. And there is no lack of other events during this time to ensure that the days of Carnival in Cadiz are complete. The costume is the real king of the carnival. It is almost obligatory to wear fancy dress, above all on the first Saturday of the carnival. The whole city is involved. This is a perfect time to get to know it and to enjoy the inventiveness and sense of fun of the people of Cadiz. You can’t lose it!